Every science fiction series runs into a wall occasionally, and even Doctor Who has had its share of strange villains. While the Master and the Daleks are famous, one might assume that the Seeds of Doom haven't garnered quite as much fame as these illustrious monsters. 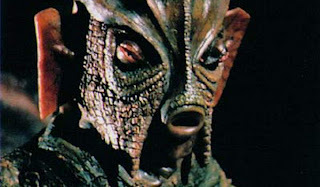 However, that doesn't mean that fans shouldn't celebrate the lesser-known Doctor Who bad guys just as well. After all, they make the Cybermen look all the better. 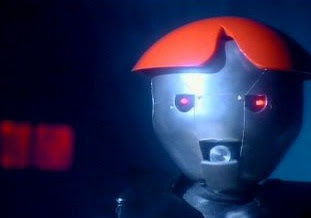 Perhaps one of the strangest Doctor Who characters of recent vintage has to be the Anne Droid. Naturally, the robot was based around the host of The Weakest Link. Anne Robinson's inclusion might have been a way to comment on the dangers of television and being obsessed with it. 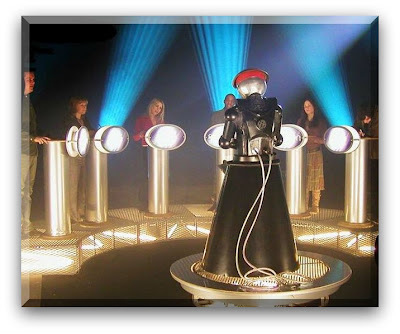 On the other hand, there was later a Doctor Who special episode of The Weakest Link, where the actors played for charity. Anne Droid made a cameo appearance where she started to introduce the show. Considering this, and the poor pun on the word android, it is hard to believe that her storyline was actually anything more than a publicity stunt by the network. 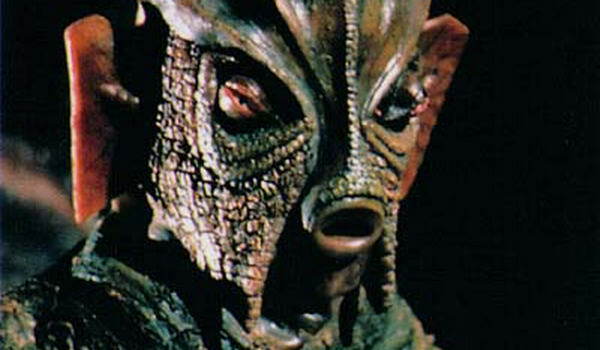 While later depictions of the Silurians almost made them look like Deep Space 9 characters, early ones were quite strange. They had a third eye with cat-like pupils in the other two regular eyes. Rectangular external ears and a deep method of speaking gave them a B movie feel that was hard for later depictions of the creatures to top. Naturally, this wasn't necessarily intentional, considering the lower budgets that many Doctor Who serials had. However, fans have become accustomed to this very classic look. 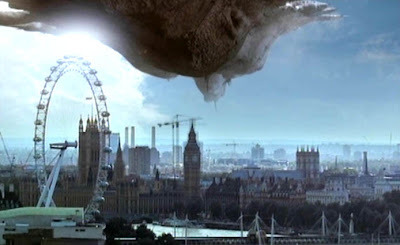 Anyone that has seen the 1955 American science fiction thriller This Island Earth probably thought of the entire setup of The Ark in Space as a clone of it. 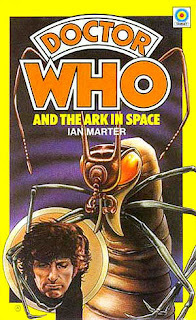 The giant insectoid monsters from the series conceptually resemble the Mutant from the film, though to be honest arks in space were a common concept in science fiction when that particular serial came out. Some of the sets from it even look a bit similar to the spacecraft from the planet Metaluna in This Island Earth, though the resemblance may not have been at all intentional. Nevertheless, the huge insects go down as a particularly grotesque villain in the history of the show. 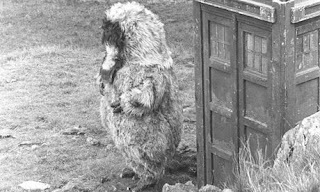 The Abominable Snowmen with Patrick Troughton was an even earlier serial that included some very strangely designed Yeti monsters. However, in a not unexpected twist of fate, the creatures were actually robotic creations from another world. 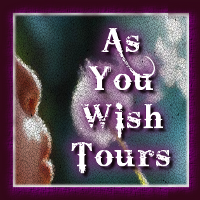 While this plotline has been used time and time again in the Doctor Who ethos, it was particularly obvious here. However, it still didn't mix science fact and science fiction to the degree that a later Tom Baker serial did. The Pyramids of Mars mixed archaeology in early 20th century Egypt with robotic fiction in a completely different way. Ancient Egyptian deities like Sutekh and Horus were seemingly from another world, and used robotic service mummies to do their bidding. An equally ancient race of aliens known as the Osirians apparently mixed it up on Earth many eons ago. If parallels can be drawn between The Ark in Space and This Island Earth, The Pyramids of Mars certainly seems like Who Mourns for Adonis. Fans of the original Star Trek series will remember that second season episode where the crew of the USS Enterprise encounters an alien that believes the he is the Greek god Apollo from antiquity. 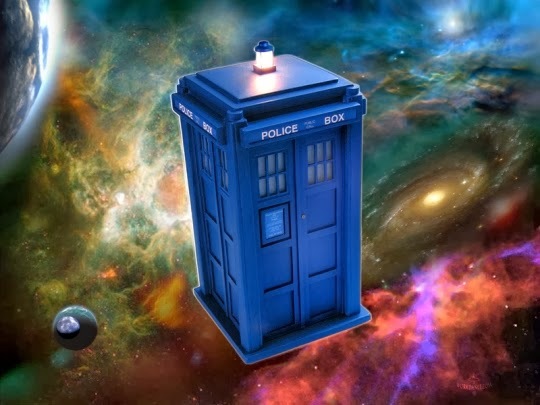 Matthew Warren is a fan of Doctor Who and runs a science fiction store with plenty of Dr Who Products. More pictures of Doctor Who (well known and not so well known) villains can be viewed on the BBC's Official Doctor Who Website.